Ogochukwu was at Ilasa bus stop, on the Oshodi-Apapa Expressway, when a man allegedly dropped from a motorcycle, poured acid on her, jumped back on the motorcycle and fled the scene. The victim, who sustained burns on her face, neck, breasts, among other parts of her body, was reportedly rushed to LUTH by passersby. Ogochukwu has now accused one Mrs. Chidi, the wife of the man who had proposed marriage to her, as the culprit. her on the telephone and through text messages immediately she learnt of her husband’s intention to marry her (Ogochukwu). She said she had turned down Mr. Chidi’s proposal because he was married, adding that the latter persisted. “On Thursday, I had closed from Computer Village where I work. Around 8pm, when I reached Ilasa bus stop, I dropped off the bus. “I was about to cross to the other side of the road when a man dropped from a motorcycle and poured something on me. He immediately fled on the motorcycle. People came to my rescue and took me to the hospital. “I suspect Mrs. Chidi because she had been threatening me before the incident. And while I was on admission at the hospital, she called and spoke with my brother, saying that was just the beginning,” she added. Ogochukwu’s brother, Peter, said he recorded a part of the conversation with Mrs. Chidi on his mobile phone. Peter said he reported the incident at the Itire Police Division, adding that Mrs. Chidi was arrested and detained for two days before the case was transferred to the State Criminal Investigation and Intelligence Department, Yaba. Punch reports they however, gathered that the police admitted the suspect to bail shortly after the matter got to the SCIID. Counsel to the victim, Louis Nwaugbala and Anthony Obi, had already petitioned the Deputy Inspector General of Police, Force Headquarters, Abuja, over the matter. “Sometime in 2012, one Mr. Chidi approached our client and started making advances to her and promised to marry her. But she vehemently refused the proposal. She told him that she was not interested in the marriage since he was already married. “Upon Mr. Chidi’s insistence of wanting to marry our client and even making preparations to visit our client’s family to formalize the marriage rites, our client advised Mr. Chidi to inform his wife of his plans to take our client as his second wife, since both of them will be cohabiting in the same house. The petition alleged that the suspect threatened to wreak havoc before December 2016, the purported month of the traditional marriage between Mr. Chidi and Ogochukwu. It added that Ogochukwu was persuaded against reporting the threat to the police by Mr. Chidi, who allegedly promised to persuade his wife to accept the union. It said tragedy struck when the victim was attacked while she was returning from work on Thursday, October 6, 2016. 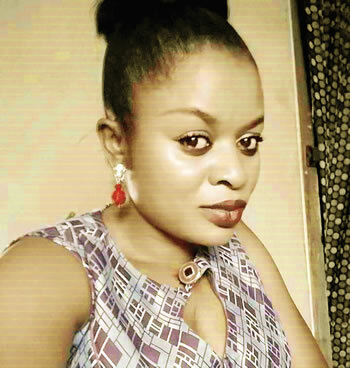 Nwaugbala, the victim’s lawyer, said justice must be served in the case, adding that Ogochukwu must be flown abroad for plastic surgery by the suspect and her husband. “That is the only thing that can assuage the damage presently done to her. She should be flown abroad for treatment,” he added. When contacted, Mr. Chidi declined comment, referring Punch to the police at the SCIID. The Police Public Relations Officer, SP Dolapo Badmos, confirmed the incident. She explained that Mrs. Chidi was released on bail because she could not be directly linked to the attack. “It was reported that the victim was bathed with acid by two men on a motorcycle. The victim alleged that she suspected the woman because she (the victim) is a girlfriend to Mr. Chidi and because she (victim) might likely marry the man, Mrs. Chidi might have planned the attack. What do you think? You see how Mr. Chidi is now protecting his wife from the press whereas he was the one that started this whole mess. Smh.